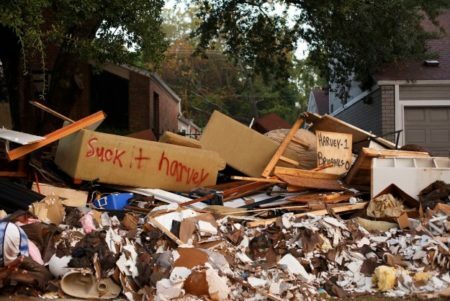 Debris piles up in front of flooded Habitat homes in Houston, after Harvey. October 2017. Pamela Lupo lives in League City and said she feels lucky because her home didn’t sustain any damage during Hurricane Harvey. 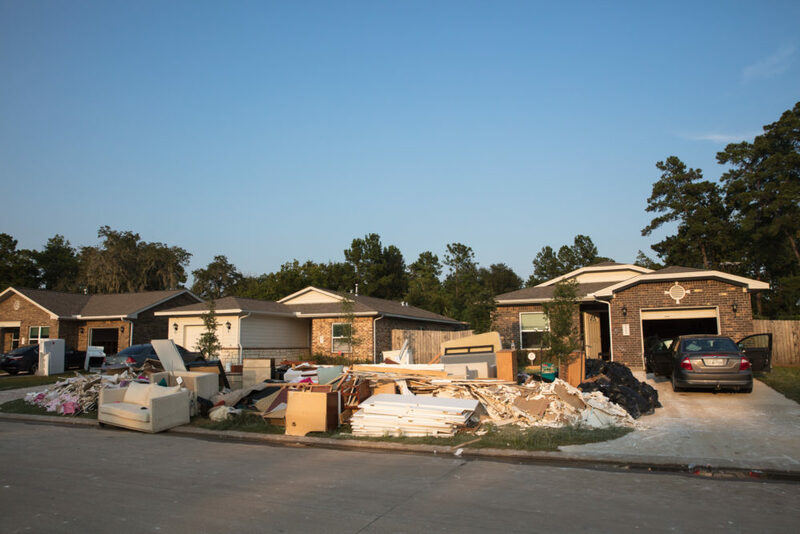 “About a week after Harvey, we started to get phone calls from an inspector asking to inspect our house because of our FEMA claim,” she told News 88.7. The problem: Neither she or her husband ever filed a claim with the Federal Emergency Management Agency. Lupo told the contractor that and also called a fraud prevention hotline. She suspects someone stole her identity as part of the Equifax data hack. So she contacted the comptroller’s office and returned the check. But the issue still wasn’t resolved. Not long after, she got a letter from the Small Business Administration encouraging her to apply for a disaster loan. Lupo said she’s heard from co-workers who had similar experiences. 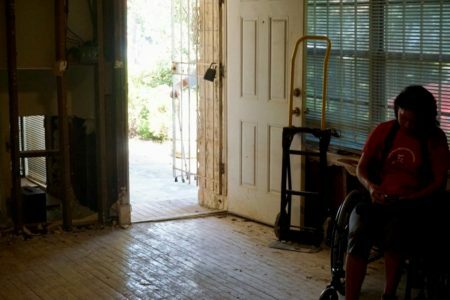 When we contacted FEMA, a spokesperson said the agency is aware of attempted fraud by individuals who claim to be housing inspectors or building contractors or who ask for disaster donations. 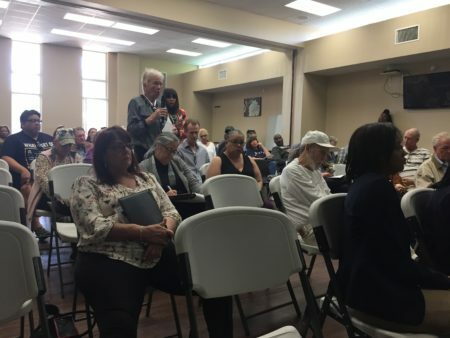 He said the Department of Justice is investigating all incidents that are reported and that FEMA is working with federal, state and local agencies to fight fraud. 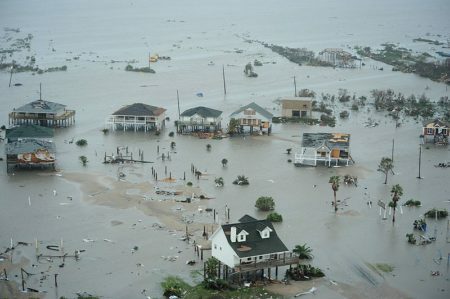 A DOJ spokeswoman said the department’s National Center for Disaster Fraud has received more than 1,800 complaints related to Hurricane Harvey. Of those more than 700 involved identity theft in the FEMA application process.